Fashion lovers in overseas countries are shining with jewellery made by some of South Africa's rural and historically disadvantaged communities. Thanks to the Vukani-Ubuntu Community Development Programme, the jewellers from these communities are also shining brightly through their work. By empowering disadvantaged communities through training and skills development projects, Vukani-Ubuntu is helping government reach its goals of developing scarce skills, fighting poverty and supporting small business development. Community development champion, Demos Takoulas, started the project. Takoulas, who runs Academy International, a computer and business training college, saw the need for jewellery schools in previously disadvantaged areas. Through the Academy's Outreach Programme, he got a R240 000 sponsorship from the Anglo Gold Ashante mine. It helped him to start a jewellery school in Atteridgeville, near Pretoria in 1999. 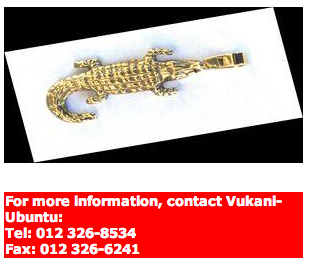 Today, there are eight Vukani-Ubuntu jewellery projects. 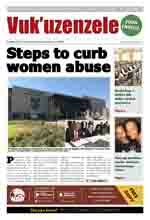 They are situated in Mpumalanga, Gauteng, the Free State and the Northern Cape. All the projects are owned by the communities with Vukani-Ubuntu only helping to run and market the businesses. Together with five other community-based jewellery projects in the country, Vukani-Ubuntu has formed a co-operation that sells their jewellery to countries like Canada, Japan and America. Takoulas said the Department of Trade and Industry, through its Black Business Supplier Development Programme, sponsors them when they take the products to trade shows, conferences and seminars in South Africa and overseas. He said their students are trained to meet the high standards demanded by jewellery buyers overseas. 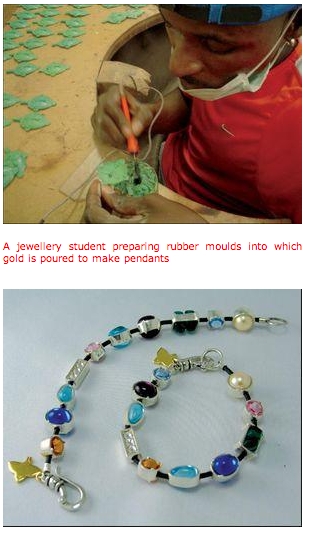 Jewellery design is a three-year course and costs about R40 000 per year per student. The Mining and Qualification Authority SETA sponsors half the money for each student, while organisations like the Nelson Mandela Children's Fund and the National Development Agency also help with funding. One of the most successful projects is the Umjindi Jewellery project in Barberton, Mpumalanga. It has already created hundreds of jobs in the area.